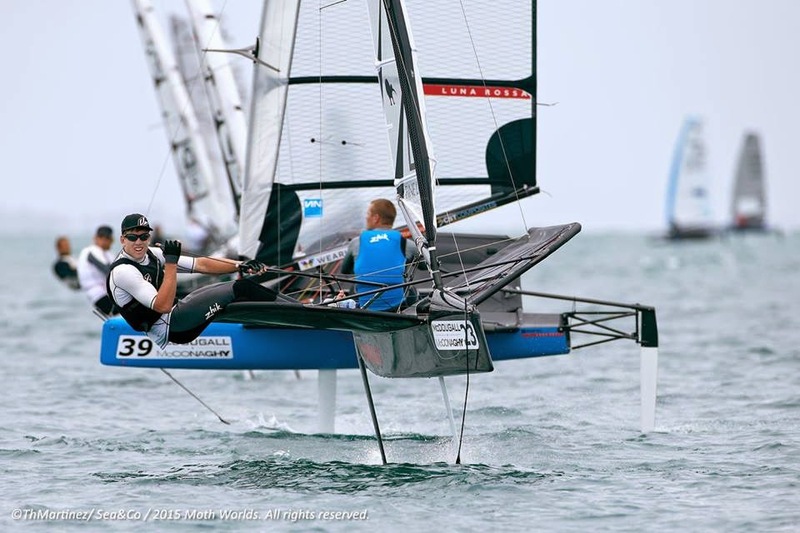 All images Thierry Martinez - More at fb.com/ThierryMartinezPhoto | Moth Worlds 2015 at Sorrento , Australia. 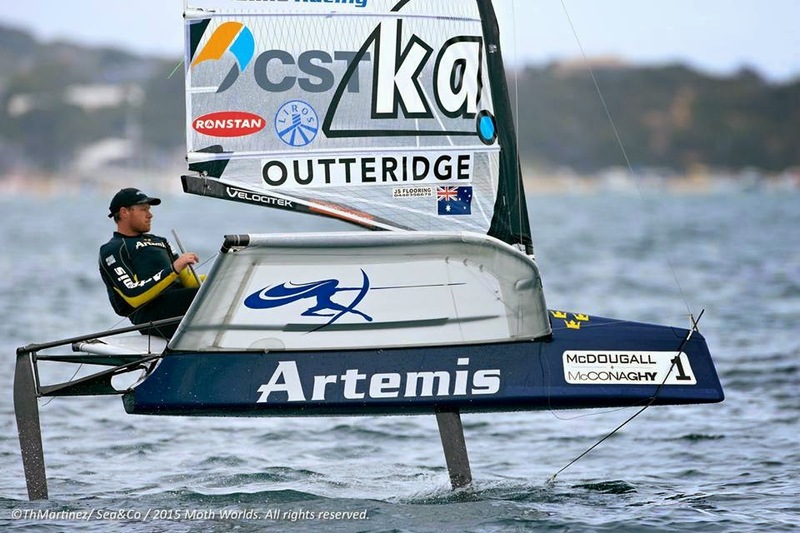 Outteridge leads over his 49er top contender & TNZ crew member Peter Burling. Ian Jensen, Outteridge 49er crew and Artemis pal in third place. Another two AC sailors, Draper (Luna Rossa) & Slingby (Oracle) hold 5th & 6th place respectively. Ashby currently 12th.